Not much to write about today, well actually there is but I needed to take a break for the night. We are in what some people refer to the Dog Days of Summer, the month of August. For a lot of people August seems to drag, the late summer heat seems to take something out of a lot of people. I’m a little bit tired today, but part of that is that I have started running again after about two years trying to play around at the gym, which did nothing for me. I have always liked running, but after I broke my leg back in 2012 foolishly tried other ways to keep in shape, and curtailed my running. Mind you the injury had nothing to do with running, so I am back hitting the pavement. Friday I ran for the first time in about a year or more, 3.2 miles at a slow 10 minute mile pace, and today 3.6 miles at the same pace. The first half of today’s run was painful, my legs felt like lead, but as I kept going it got easier and I felt good when it was all over. But that is normal for me, even when I was young, the first mile to mile and a half has always been harder than what follows. So I will continue to run. I may not get back up to half-marathon level, but I’ll throw in a 10K once in a while. As always I am continuing to write on my vast Civil War project, and right now I am focusing on what will be the second book, Mine Eyes Have Seen the Glory: Race, Religion, Ideology, and Politics in the Civil War Era. It is a challenging subject because there is just so much there to dig into as religion butressed racial attitudes, economic theory, domestic politics, and even foreign policy from the 1830s onward; and truthfully we haven’t completely left it behind, which makes the study of it so pertinent today. 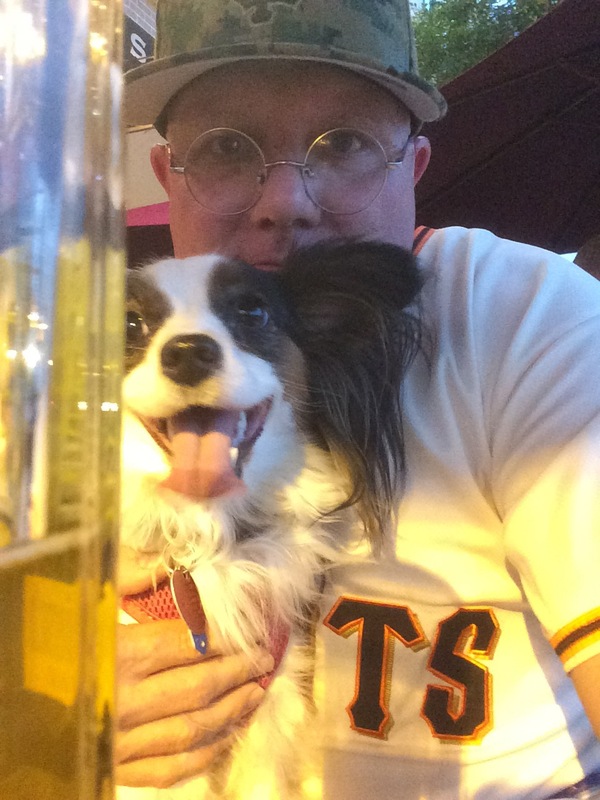 But anyway, I didn’t feel like writing about politics today, frankly I needed to take a break from it today, so when I got home I just watched the Olympics with our younger Papillon, Izzy snuggled against my leg as a drank a beer. So until tomorrow, have a great night. I just want you to know that I’m feeling like you. I’m watching the only pics and other things to do also. Hope you are getting my mail as the iPad is all I have. Love you and your family. Mom.